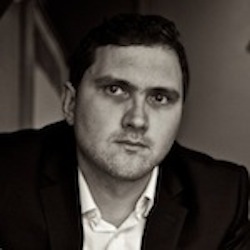 Simon Hill is founder of the idea management software company Wazoku. Having worked with project management collaboration software and as an innovation consultant in past incarnations, Hill spotted that there was a missing piece of the puzzle when it came to ensuring that valuable ideas get a hearing and are not lost. Clearly this would be something that most companies would like Hill to develop for them, but as a man who knows about ideas, he realised that this would be something he could develop into his own business. Pinning down an idea is not always easy. Making sure good ideas come to the fore and are acted upon can be even tougher, especially in very large companies where cross-team collaboration doesn’t often happen and suitable cross-disciplinary work is not always spotted. To ensure that good ideas rise to the top, the company’s software guides users through a work flow. Using Wazoku, ideas can be submitted and then evaluated. Extra fields can be added for further definition or a poll can be used to rank and rate ideas. This turns up a list with the best ideas at the top and these could be submitted from across an entire organisation. Humans can be almost excessively creative creatures of course and wrangling even the ideas of just one person can be quite a task. According to Hill though, there’s no such thing as ‘too many ideas’. The company also provides a mobile entry point for ideas, enabling another way for more thoughts and concepts to be collected. Along with the collection of ideas, Hill also works on ways to make sure thoughts end up in front of the right people. “We want ideas to find the best people, the decision makers in an organisation. We apply a profile based on what you do, what you talk about what you interact with and how successful you are with those things,” he explains. Idea management still appears to be a bit of a slippery process but Hill notes that not only does he help others with methods for this but that he is also still finding new things himself. Transparent ideas processes let everyone in a company see how their contributions can help a business. Having a clear sense of purpose at work tends to lead to a better feeling about the job that you do. This can help to empower people in business and create a healthy sense of contribution. This is something that Hill believes is vital in running a company. And the word Wazoku? That means ‘great idea’ in Swahili.